An investigation has been launched by Nato into the deaths of at least five Afghan policemen who were mistakenly killed in a US air strike on Wednesday night in the east of the country. 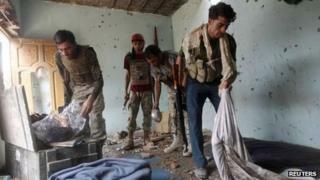 Officials said they died after Afghan special forces called for air support during a clash with the Taliban. The incident happened at a police checkpoint in Nangarhar province. Accidental Afghan casualties are a major source of friction between the government and its foreign allies. The US is attempting to restart stalled talks with the government of President Hamid Karzai on the size of its military presence after most international troops leave next year. Correspondents say that because Afghan security forces do not possess a significant air force, foreign air power is considered critical to cover the mountainous regions near the Pakistani border which have long been insurgent hot spots.